and treat others with respect? “Raising a Thinking Child” helps you teach young children how t o solve problems and resolve daily conflicts. 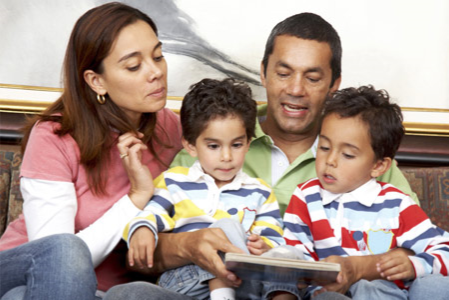 Richland County families have found this program improves communication in the entire family, resulting in “less yelling” and “happier” families. The program will also help shy children to become more assertive and impulsive children to cope with frustration when things don’t go their way. The skills children learn through this program can prevent and reduce early behaviors that predict later problems, “bigger kid” problems in adolescence. “Raising a Thinking Child” offers special dialogues, games, and activities to respond to children’s problems in a new way—a way that will produce mentally healthy, self-confident, and socially responsible children! Register today for the Raising a Thinking Child program. Join us by Returning the Raising a Thinking Child Brochure Flyer 2019!! Free childcare & food will be provided, thanks to the Doudna PTO, Lincoln PATT, Jefferson PATT, Ithaca PTSO, and a generous grant from the Alliant Energy Foundation. This course can be presented in Spanish or other languages for English Language Limited participants. Get more information or register for this workshop by contacting Chelsea Wunnicke, Extension Educator, Richland County, Chelsea.wunnicke@ces.uwex.edu; 608-647-6148.